There are few things that give you confidence like a bright white smile, and it is our goal to bring you options in cosmetic dentistry that surpass what you’ve thought were possible. As Denver’s Top Rated Local® dental care, your experience and satisfaction is our top priority at all times. Putting your needs first, we do whatever we can do to help you achieve the smile of your dreams. Aimed at creating a positive change to your smile, all of our cosmetic dentistry services can make a dramatic impact on your appearance and self-confidence. We understand how cosmetic dentistry can improve your quality of life and are committed to providing you with esthetic dental care that compliments both your general and oral health. If you think that your teeth could be whiter, we can help remove stains and discoloration, giving you a more youthful smile. 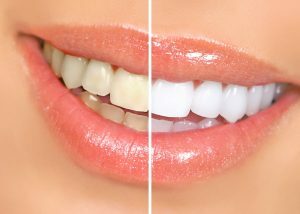 Teeth whitening is a great way to increase your confidence and give you something to smile about. Never worry again about what others think when you flash a grin, and know we have your care handled. Teeth whitening is not for everyone, so it’s important that you speak with our team before scheduling your appointment. If you are unhappy with the appearance of your teeth, porcelain veneers are a great option for changing the shape, size and color or making slight alterations to position/minor gaps of your front teeth. Veneers provide comparable strength and resilience to teeth as thin pieces of porcelain and can be used to recreate the natural look of teeth. Disguise minor flaws and achieve a beautiful smile you can be proud of. Dental bonding is an alternative treatment to veneers, in which a tooth-colored resin, is applied to teeth. This is a cosmetic procedure that can be done chair-side on the same day. 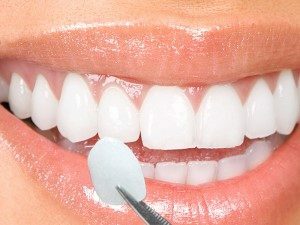 Bonding can be used to improve the appearance of discolored or chipped teeth, change tooth shape, size, color and make slight alterations to position or fill in minor gaps. Bonding is another great way to help restore a natural, beautiful smile! 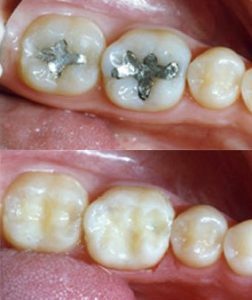 Tooth-colored restorations, also known as white fillings or composite resins, are used to restore decayed, missing, or fractured tooth structure. The restorations are made of composite resin and bond to tooth structure reducing stress on teeth, while creating an esthetic pleasing result that blends with the color of your natural teeth. To schedule your appointment, or with any questions about how cosmetic dental procedures may help, get in touch with us today.